This month has seen a small series of Australian workshops, hoping to increase confidence among those already working to modernise breech birth in Australia. The ‘Into the Breech’ conferences were instigated by Dr Rhonda Tombros, an academic lawyer with an interest in human rights and the mother of a breech born baby, and organised by Barbara Glare. The conferences coincided with a six month research fellowship visit by Dr Anke Reitter (FRCOG) of the Frankfurt team, whose MRI research will soon be published, concerning changes in pelvic diameters with maternal position changes. The Perth workshop, on 3 December, was held in the Perth Zoo and was opened by midwife Danielle Freeth, also the mother of two breech babies. As for obstetricians, it was quality rather than quantity on this occasion. One of the participants, Dr Liza Fower, Head of Obs and Gynea at the Armadale Hospital, gained significant experience facilitating breech birth in South Africa and has been able to continue to offer support. She also contributed to one of our practical workshops with some useful tips. Anke Reitter frisking Andrew Bisits .. while demonstrating how to release stuck nuchal arms. Dr Andrew Bisits (FRANZCOG) presented in Perth, on pathways for women and complications. Bisits is one of the Directors of the ALSO (Advanced Life Support in Obstetrics) course in Australia, which will be updated to include emergency manoeuvres when a woman is in an upright position. He and his team, including Midwifery Professor Caroline Homer, have launched an intensive course for professionals in Australia, the BABE (Become a Breech Expert) course. I am very much hoping to bring this course to the UK at some point in the future, and in the meantime will be ensuring that the information presented at the Breech Birth Network study days is in line with the systematic approach they are developing. 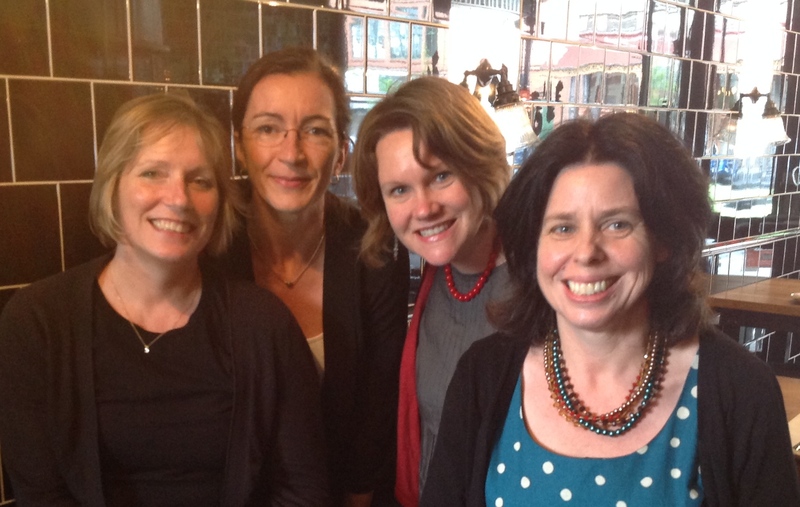 Melbourne attracted more consultant obstetricians, GP obstetricians and a lively group of midwives. Many conversations occurred during the break, suggesting a critical mass in this location, likely to move on with a more organised and collaborative approach to supporting women with breech presenting babies. This may require more working together across traditional boundaries if women are to have adequate support for viable choices, especially as breech services are reintroduced among teams with minimal recent experience. A highlight of both days was Dr Rhonda Tombros’ presentation on the legal aspects of informed consent and negligence focusing specifically on issues around breech birth. We all hope she writes this up for publication in the near future. Although I present at these conferences (in this case, on the evidence base and ‘normal for breech’), I find them invaluable to developing my own practice. The two messages I found most interesting with this visit concerned timings and episiotomy. The skill of an experienced practitioner is in holding back from intervening when the birth is progressing normally, balanced with effective intervention when it is not, and developing this judgement is a key aspect of breech training days. 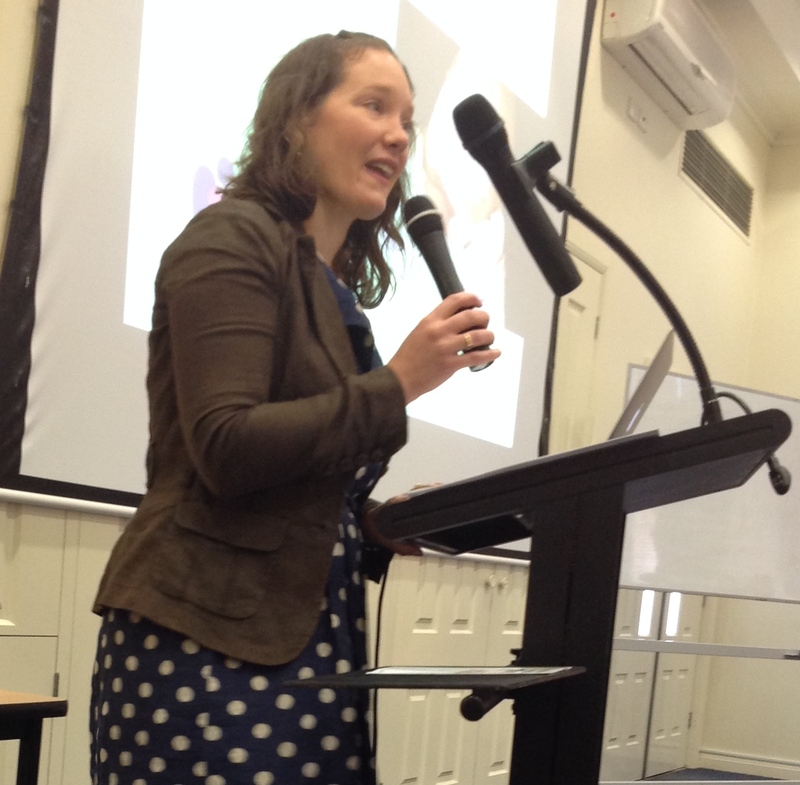 Episiotomy: In Melbourse, Consultant Midwive Michelle Underwood presented data from the Westmead Clinic which she runs with Dr Andrew Pesce in Sydney. While all of their statistics were fascinating – especially demonstrating a reduction in CS for breech from 90% to 63% in the first year of the clinic – I was intrigued by their stats on perineal damage. It seems that, compared to all births, the breech births have the highest rate of episiotomy AND the highest rate of intact perineum. This suggests to me that the majority of perineal damage from vaginal breech births may be iatrogenic, which is not surprising given that cutting a timely episiotomy is an over-emphasised part of some obstetric training for breech (Deering et al 2006), as is the use of forceps. But is it necessary, or helpful (in most cases)? In his own practise, Bisits avoids episiotomy because he feels the perineum has an active role in encouraging breech babies to remain well flexed throughout the birth. Reitter also discussed her own personal stats – three (3) episiotomies cut in the last 10 years, a period which has included management of over 300 breech births and countless cephalic complications. The episiotomy rate in her unit in Frankfurt is exceptionally low overall. Change was accomplished when the Lead Obstetrician (Prof Frank Louwen) insisted that episiotomies would not be cut unless absolutely necessary, and that each episiotomy would need to be justified personally to him. That’s what leadership can do. This entry was posted in Breech Skills, Conferences, Study Days, Uncategorized and tagged all fours, Australia, manoeuvres, Melbourne, nuchal arms, Perth on December 10, 2013 by midwifeshawn.